The repeater system is located in New Jersey east of Philadelphia, PA, in Winslow, Camden County. The repeater covers Camden County, the western and central portions of Burlington County, the western end of Atlantic County, Gloucester County, and Philadelphia. The coverage includes most of the Delaware Valley region. 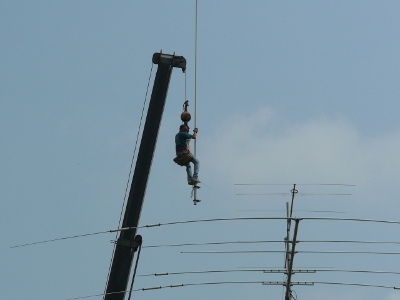 After two decades, in July 2006 the JTRA's 2 meter system moved from Tabernacle, and the call changed to K2AX. 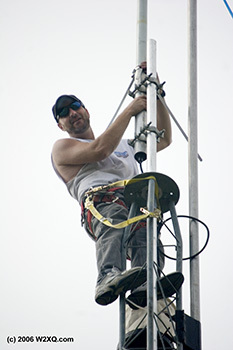 Severe weather can affect repeater operations. Lightning produced by summer thunderstorm wreak havoc on radio systems across the radio amateur community. Be aware. To protect the system in severe storm conditions, K2AX reserves the right to go silent if and when conditions warrant.